Michael DiPietro of the Ottawa 67’s. Photo by Terry Willson / OHL Images. I took a very rare mid-winter vacation and I highly recommend it. Livining Wi-Fi free for a little over a week can be a bit of an adjustment, especially for someone like me who is almost always surrounded by some form of media in one way or another. So as I get back into the swing of things this week, I thought I would highlight some of the things I missed while I was away. Busy Bonello – Kingston’s Eric Bonello committed absolute robbery against the North Bay Battalion, stopping 56 of 57 shots in a 2-1 win. He’s been very busy lately, it was the second straight game he faced atlas 50 shots, and has faced 153 shots in his last three starts. Former OHLer sings at all-star game – Mathew Maione absolutely killed it at the KHL All-Star game. During a break in the skills competition, he grabs a guitar and belts out Ho Hey by The Lumineers. I’m hoping the NHL is taking notes, it’s great for fans to see just how talented these players are away from the rink. IceDogs pink skates – I love that teams are getting creative with their equipment. Typically we’ll see players using coloured tape, or wear different colour skate laces, but the IceDogs took it one step further with pink skate blades. Maybe it’s just me, but that’s a new one. The Dundie for most create theme night goes to the Ottawa 67’s – What a great idea, hosting a theme night catered to fans of the popular series. It’s one of those fundraisers that could get people to their first OHL game. I’m hoping more of these catch on, Brooklyn Nine-Nine night anyone? DiPietro becomes new shutout king – January 18th wasn’t just a big night because of the Office, Michael DiPietro picked up his 17th career shutout in that game, making 15 saves in a 4-0 win over Peterborough. It’s his first shutout since joining the 67’s, all of his previous ones came while in Windsor. Petes going back to the maroon and white – This was music to my ears, and not just because I’ve had to call a couple games with the Petes wearing the black jerseys and maroon numbers. This is an iconic look for the Petes, very simple but instantly becomes one of the OHL’s best jerseys. Another former OHLer picks up first NHL win – Alex Nedeljovic picked up his first NHL win this week, yet another former OHLer to grab his first win this season. Jordan Bennington and Mackenzie Blackwood are two others that come to mind. 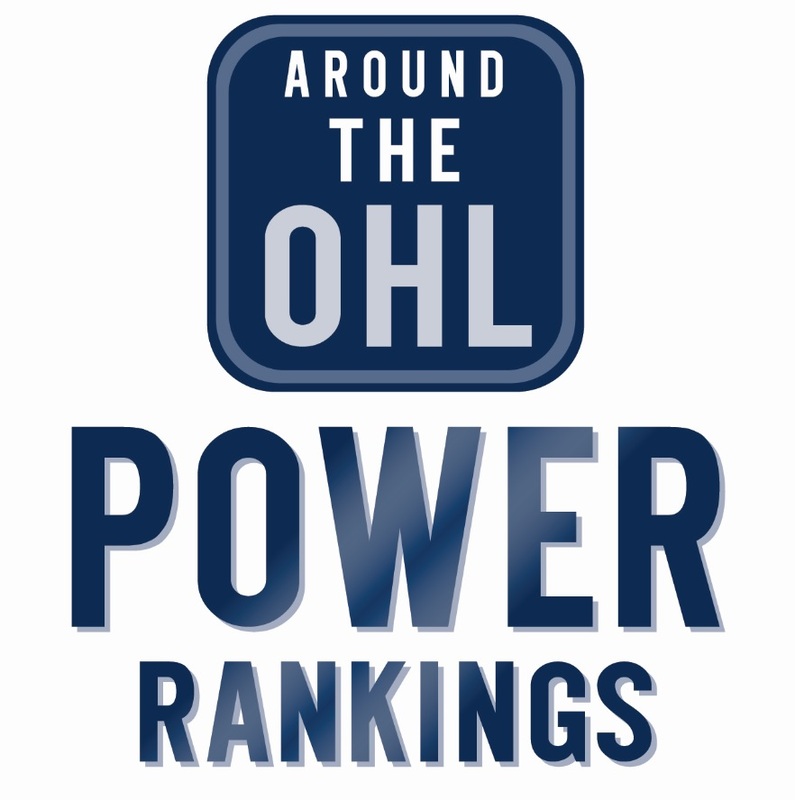 Tough test Oshawa – The Gens’ have been rolling as of late, with five straight wins going into a tough weekend. Oshawa gets a double dose of Ottawa and a Sunday meeting with London, the league’s top two teams. Good thing they’re going in on a high. Anthony Salinitri – I expected a big overage season from Anthony Salinitri, and he has certainly heated up since the trade to Oshawa. Since joining the Gens’, Salinitri has 20 goals in 20 games. What an add for Oshawa, he’s fourth in scoring with 34 goals and is nearing 300 career OHL games. Akil has been killing it – There are a couple players who are red hot right now and Niagara’s Akil Thomas is one of them. He now has goals in six straight games, scoring ten times in that stretch. He’s totalled 20 points during his seven game point streak. Five for Frost – Morgan Frost is another guy who is on an absolute tear as of late, scoring five goals in a win over Sudbury on January 20th. He has a whopping ten goals and seven assists in his last six games. Who will win the West Division – Frost is a big reason why Sault Ste. Marie just keeps winning, and it’s a good thing for them. They’ve won six in a row, which keeps them three points up on Saginaw, who has won four in a row. They still have three games against each other this season, including two in the final weekend. That’s going to be a great race for the West Division title. Four 16-year-olds could score 20 – There could be twice as many 16-year-old olds to reach the 20-goal plateau this season. Saginaw’s Cole Perfetti (19) and Sudbury’s Quinton Byfield (17) aren’t far off, and Windsor’s Will Cuylee (22) and Sarnia’s Jacob Perrealt have a shot at 30. Tags: Akil Thomas, KHL, Kingston Frontenacs, Michael DiPietro, Morgan Frost, NHL, Niagara IceDogs, OHL, Oshawa Generals, Ottawa 67's, Peterborough Petes, Saginaw Spirit, Sault Ste. Marie Greyhounds. Bookmark the permalink.